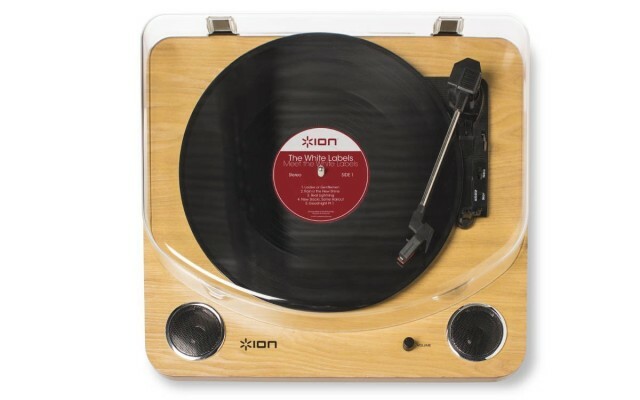 Are LP to Mp3 conversion record players worth the trouble? I used to wonder why anyone would want to bother with an LP to Mp3 record player, why would you not just listen to the vinyl you have? Analog always sounded warmer and truer to me than compressed digital sound. That’s not always true of course, as some downloads these days sound pretty good. Well, of course you can’t carry a turntable with you when you’re at the gym or going for that leisurely walk, you sure can’t bring your turntable on that Sunday drive either. 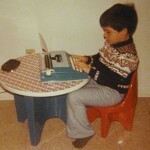 In that sense I do get the need to be able to use your music where ever you want. You do need to remember how much surface noise vintage records can have, especially if you haven’t paid much attention to them at the bottom of your closet, why buy a turntable if those records are warped or scratched up? 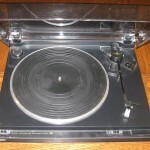 The pictured Ion Digital Conversion Turntable, does not need a computer to convert vinyl to mp3 files. Just place your iPod on the record player its self and record direct to the iPod while its charging no less. The Ion sound wise, “just playing straight through your receiver” is adequate. I would certainly not say its audiophile quality, not even close, but it’s not bad at all for the under $90.00 price. The record player does plug into your receiver or computer, you do not need a separate phono amp. I actually have used the tape or DVD jack as well without an issue. You can also plug the USB up to your PC and listen via your computer speakers or head phones. Comparing the Ion to the Sony and Pioneer starter turntables I do personally own, it’s definitely a notch below those in overall sound quality running direct through the stereo. The mp3 files it produces sound pretty good, as you can tweak your system to get better equalization and so forth. Remember this though: If surface noise pops and clicks annoy you, well, then I hate to break the news to you, you hear any imperfections on that file? You will have a learning curve using the Audacity software supplied with the turntable, you must install it on your PC, if you have any basic computer experience you should be OK. You will have to manually fill out album and track titles. It also gives you the option to play sections of each track or playing whole sides. I like the side long feature, as It’s more of a set it and come back in 20 minutes thing, some have reported issues with the track separating feature breaking tracks up in the middle of a song. Maybe you could set a timer to go off, if you forget the Ion will continue to record dead air as long as your away. You really need to listen to the album while it’s recording. If it skips, or worse yet sticks, you will have to start over, or live with it. At least by listening to it as you record, you will not be surprised with 20 minutes of repeated loops. Sony and Audio Technica USB? Sony and Audio Technica also offer quality USB turntables, that are a bit better I think for straight turntable through receiver use. 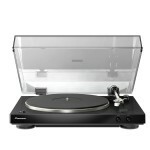 In fact, as of this writing the Audio Technica USB is the Amazon.com best seller for USB turntables. Both record players receive pretty good reviews, I liked the Sony I started out with well enough, the only issue was the bottom end bass sound could get muffled a little, and perhaps the clarity on the highs weren’t what an audiophile player would normally give you. Again it needs to be emphasized, you get what you pay for, and these mentioned “for the money,” seem to be the best. If you really want an audiophile experience, you are going to spend at least $400 with a turntable and phono amp purchase. I’ll say this, if you are an audiophile, unless the records you are converting are near mint you’re going to hear surface noise. Depending on what your snap crackle pop tolerance levels are, you might want to think about how much you really like vinyl. After all, if you are used to CD’s and downloads, you probably moved away from vinyl because of surface noise issues right? 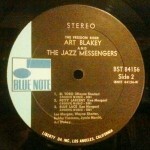 Just remember this: Every record you convert is going to sound like the record does when you play it through the iPod. In fact, it’s going to sound slightly worse than the original recording. I have to say, I am glad that I did convert some very rare records to Mp3 that have never been released outside of vinyl. You can save wear and tear on your vinyl copy as well. I like records though, I want to hear the vinyl when I am at home. So I think in the end, if you are a music nut and care about having rare LP’s on your iPod, get one of these. 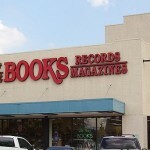 Also they could come in handy for selling vinyl online, you could place a music file on an expensive record’s listing and enhance the selling ability.